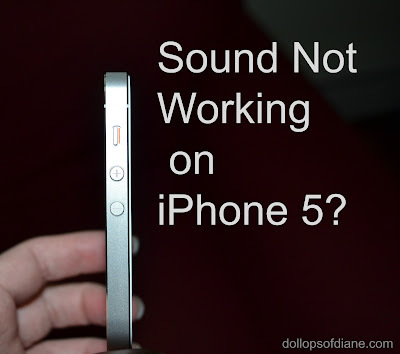 Dollops of Diane: Sound Not Working on iPhone 5?! My camera was not working properly on my iPhone 5 so after two trips to the Genius Bar I ended up with a new iPhone. I set it all up last night but then today noticed that I wasn't receiving sound notifications. I first noticed it for texts and Facebook notifications so I tried calling myself from another phone and it didn't ring. I checked out the Notification Settings and everything was fine. I could even listen to the sound of the ringtones in Notifications but wasn't receiving any. Do Not Disturb was also not on. 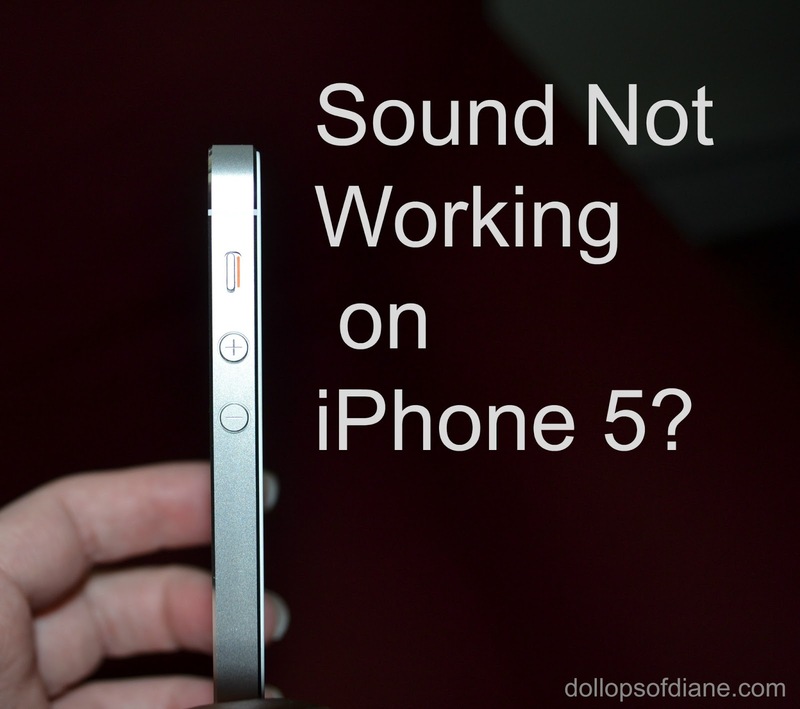 Upon further investigation, I also couldn't hear any sound in most apps but my iTunes music worked fine as did Pandora. I was starting to think that I would need to go BACK to the Apple store for the third time in three days and was going to LOSE it. However, it turns out that my phone had been put on silent. Do you know where the silent button is because I sure didn't. It is a thin switch located above the volume button on the left hand side. If you see orange it means your phone has been put on silent. If it's on silent, there is no indication of it on the actual phone so (like me) you wouldn't know it was on. So there you go, problem solved. I'm sharing it with you in case this happens to you someday and you are about to lose your mind. If you already knew this information then clearly you are smarter than I am. See that little orange line? That means silent!